Ever leave the house and forget to turn off the coffee maker or turn off the iron? Well fret no more. 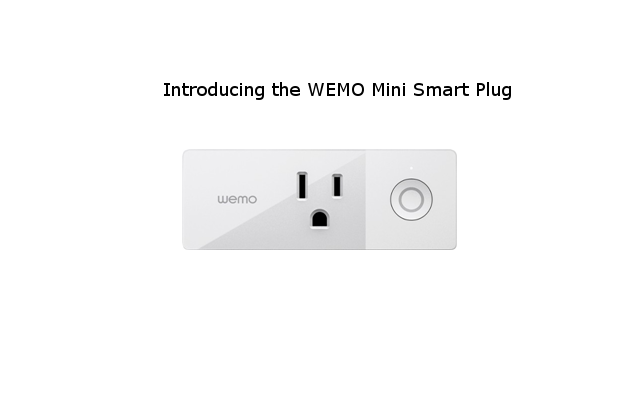 This little device works off of your home wifi and can control home appliances from your smartphone or tablet. Control from Anywhere - Download free app on your phone with Apple iOS 8 or higher and Android 4.1 or higher. Works with Google Assistant and Amazon Alexa - Pair with Google Assistant or Amazon Alexa and turn your lights, your appliances, or a whole room on or off with the power of your voice. IFTTT - Turns devices on and off based on real-world events, sends you push notifications about device activity, and much more. Schedule automatically - Never come home to a dark house. Schedule the fan to turn on before you arrive. Set on and off times for your lights and appliances. Synchronize devices to sunrise, sunset, or pre-set times automatically. Randomize lights - "Away Mode" will turn your lights on and off randomly to make it look like you're home even when you're not. Ahh...smart home technology. Online reviews show 4.6 out of 5 stars with 1472 out of 1576 people saying the would recommend to a friend. Looks like they are available from Best Buy, Lowes, Amazon and more. Once you have purchased your device visit the website below to get started.